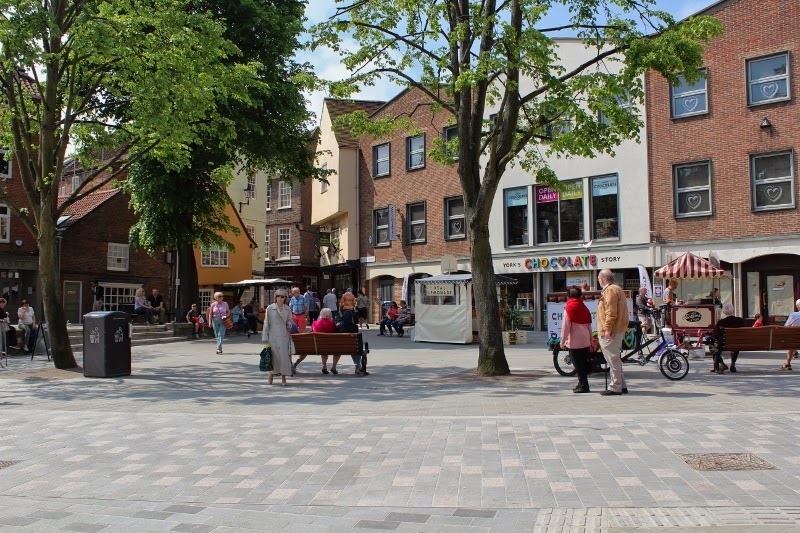 Until earlier this year Kings Square was covered in cobblestones, however the council decided it was looking shabby and cluttered. Over the last few months it has been repaved and re-modelled to make it look bigger. Many people liked the cobbles and campaigned to have them remain. For my money they should have re-sited that black litter bin somewhere less obtrusive.